Spring break is typically a time for college students to relax, catch up on work, and spend time with friends. However, that was not spring break plans that EADS Marketing Intern, Makayla Plants, had in mind. Makayla is a Business student at Penn State Altoona and is conducting undergraduate research this semester with fellow students, Marcella Kishlock and Joey Hernandez. Makayla and a team of two students and three professors are working with Andreas Home of Hope and Joy, an orphanage in Guyaramerin, Bolivia. Makayla and her team went to help the owners, Gary and Jerri Zimmerman, conduct a land feasibility study on their two hectares of donated land. The goal of their research is to develop a business plan that will guarantee the orphanage a sustainable source of income through a dairy operation and selling produce. It took the team 30 hours of travel time to finally arrive in the rural and secluded town in Bolivia. When the team arrived at the orphanage, they were overwhelmed with love by the children who were eager to teach their new friends how to play volleyball. Although the children did not speak English, the language barrier did not stop anyone from having fun. Through hand gestures and facial expressions, the children and the team talked, played, taught each other new things. When Makayla was not playing with the children, she was doing extensive research. Makayla did market research, took inventory of what was growing on the land, and conducted interviews of the locals. 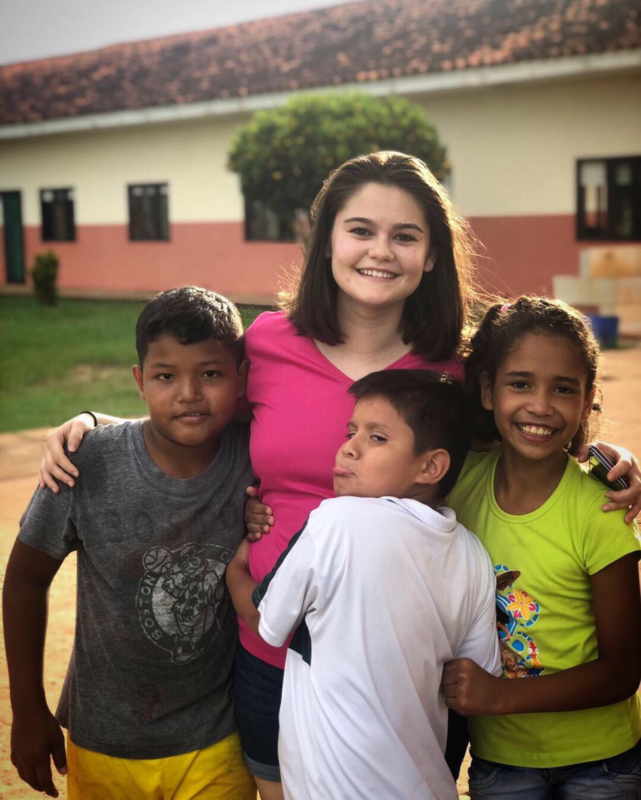 Makayla left Bolivia with a greater understanding of what life is like in a third world country, and a desire to continue doing this type of work in the future.